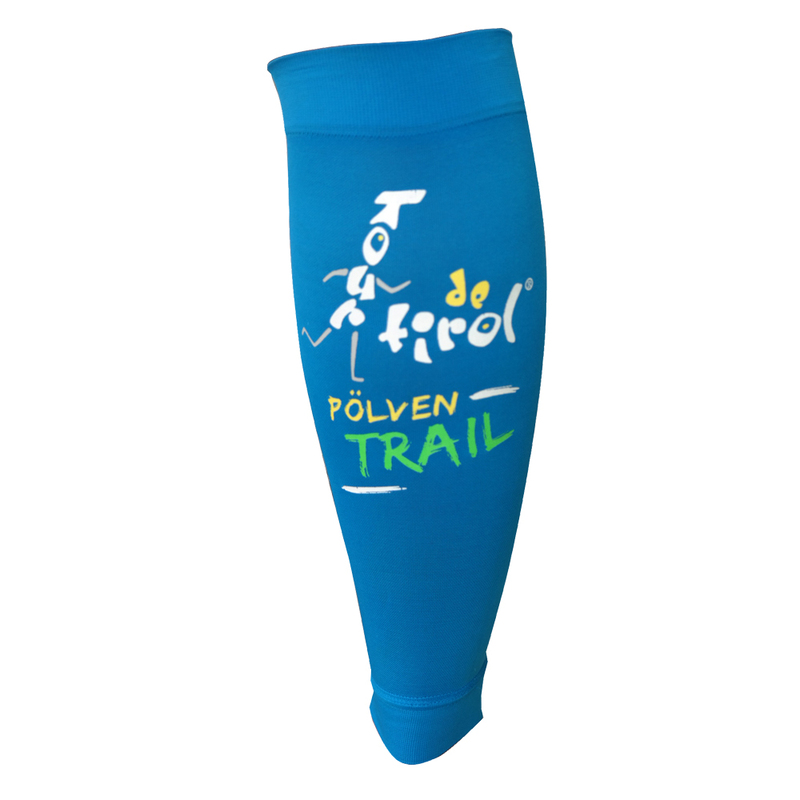 Only participants in a good physical condition can take part in this challenging running event. The use of trail or walking sticks and also poles is not allowed. Also the use of crutches and other walking support is not allowed. For safety reasons no dogs allowed. 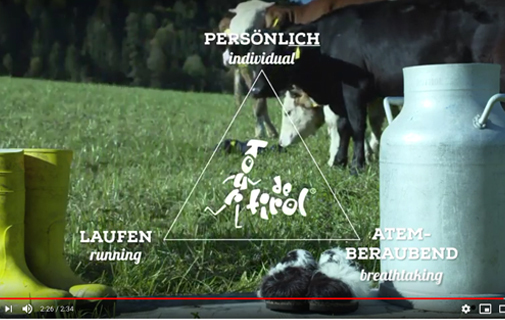 The rules of the Austrian Athletic Federation apply. There is an over-all result for all three stages, where the times of the individual races are added together. The registration is done by race result, 5% registration fee will be valid. You can send your registration by fax, telephone or posted letter. Insurance is the responsibility of the athlete. The organiser does not take any responsibility for damage to persons or property. This applies also to lost items of clothing or other articles. 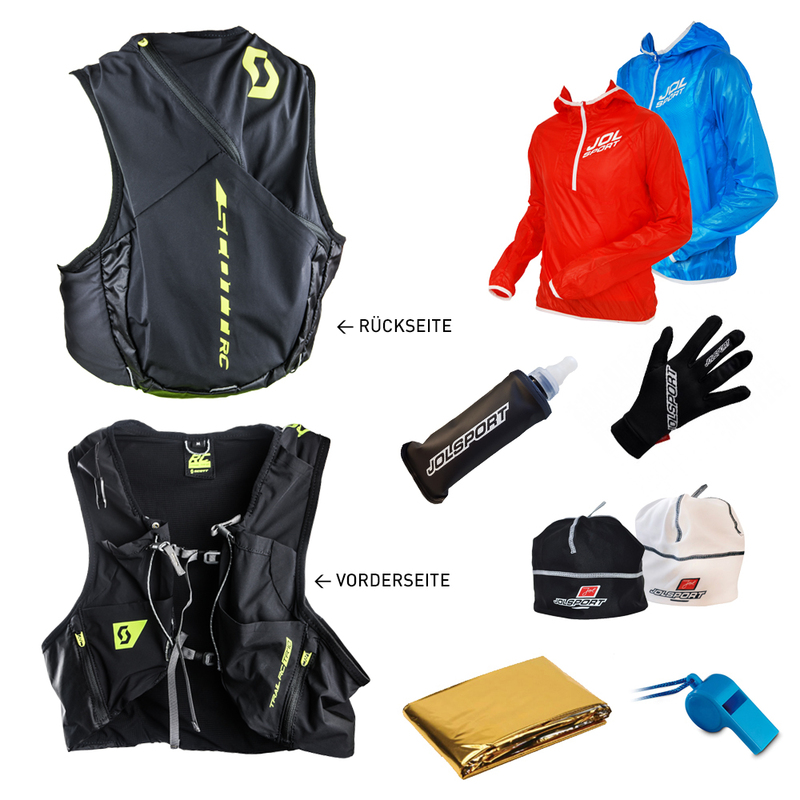 With receipt of the race number each participant agrees that he or she is fully fit and able to take part. In the event of my participation at the Tour de Tirol I fully accept and recognise the non-liability of the organisers for damage of any kind. I will not hold anything against the organisers and sponsors of the organiser or against the municipalities, through whose area we are running or sue for damage, loss and injuries of any kind, which could be caused by my participation in this event. 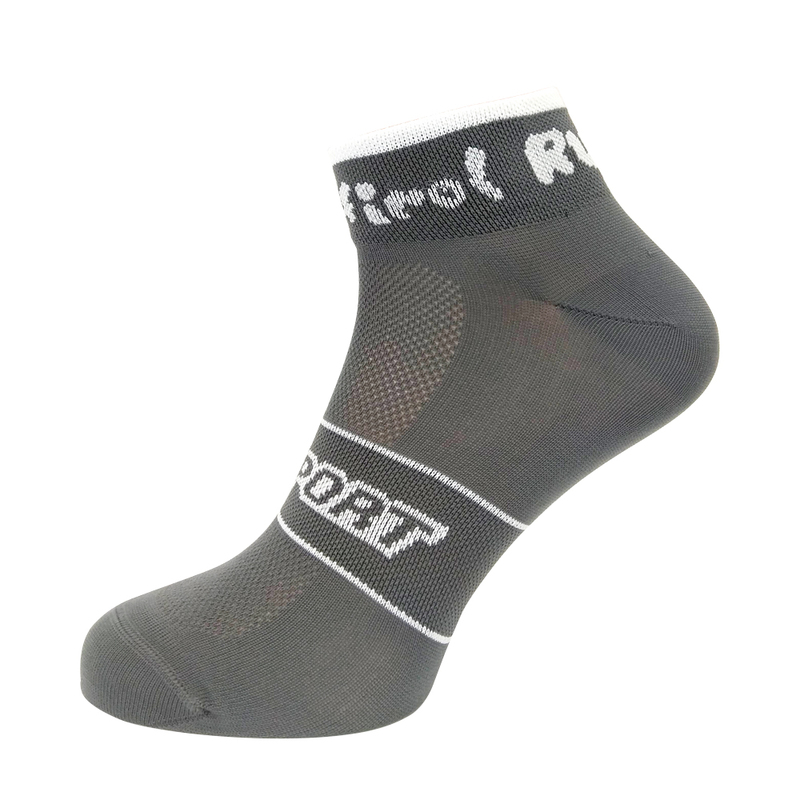 I authorise the Tour de Tirol and its official sponsor´s the full use of my application details. I also hereby grant permission for use of any photographs, motion pictures, and recordings of myself at the event, for any legitimate purpose, including commercial advertising. I agree that I have provided true information on my application and that my date of birth is correct and that I will provide the appropriate documents as proof if required. Also I will not deliberately damage my race number or pass it on to another competitor. I accept that the race doctor, volunteers or race organisers are allowed, to stop competitors, who are unable to finish the race safely. I agree that participants, who do not reach the top of the Hohe Salve before 15.30 will not be on the official result lists. I accept that participants who do not reach the 34,3 km mark (Hexenwasser) by 13.30 will be stopped there - finishing the race is then at their own risk. I also know that walking sticks and poles, headphones or headsets are not allowed at the race. 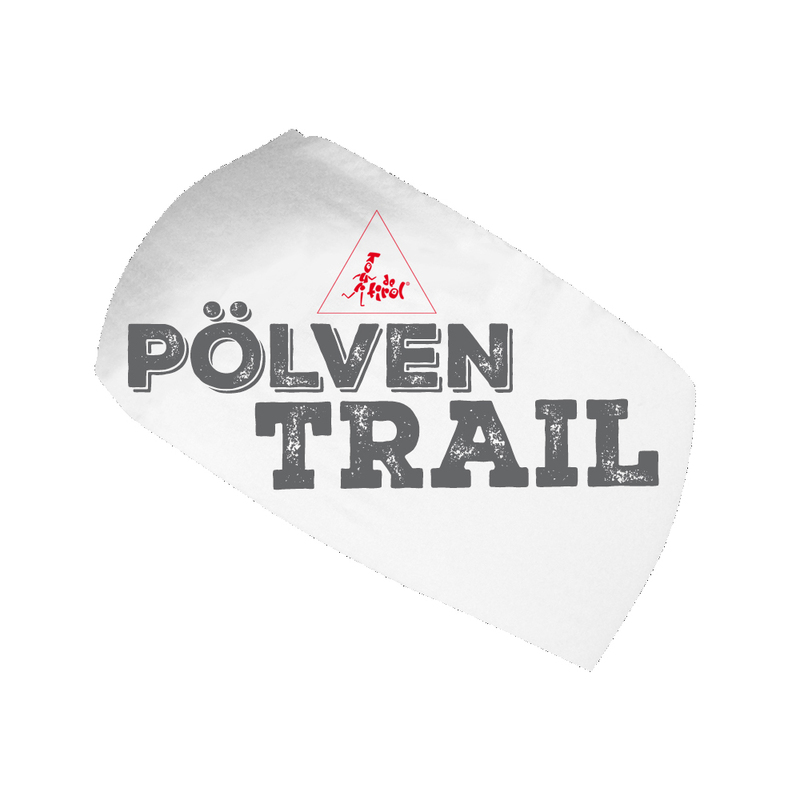 Please note: For the Kaisermarathon and the Pölven Trail there is an obligatory equipment! 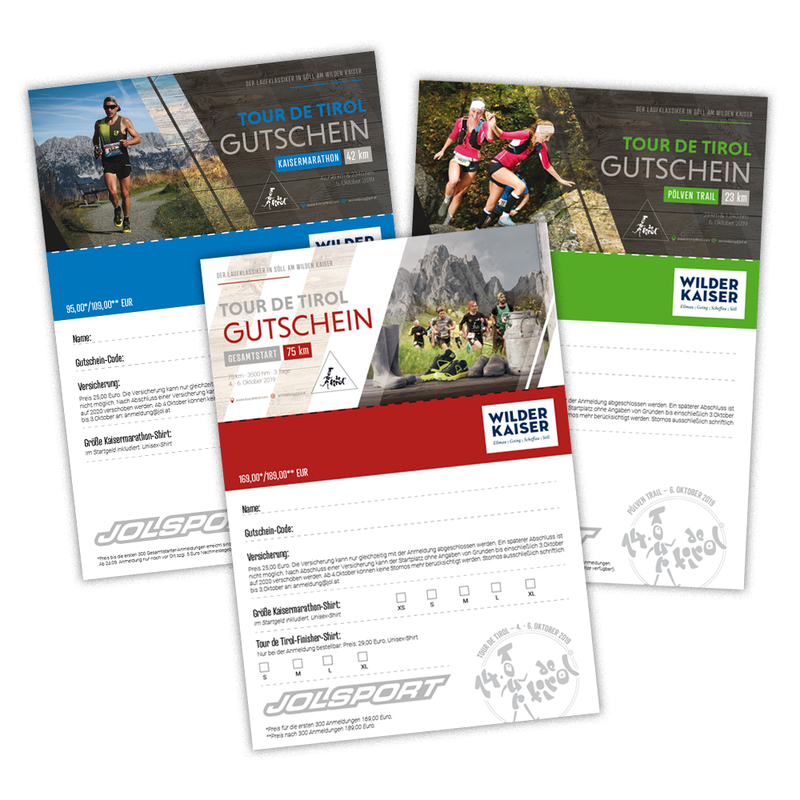 If you require any further information about the Tour de Tirol or have any further questions, please contact us with your inquiry by email at: info@jol.at Your inquiry will be answered as soon as possible.